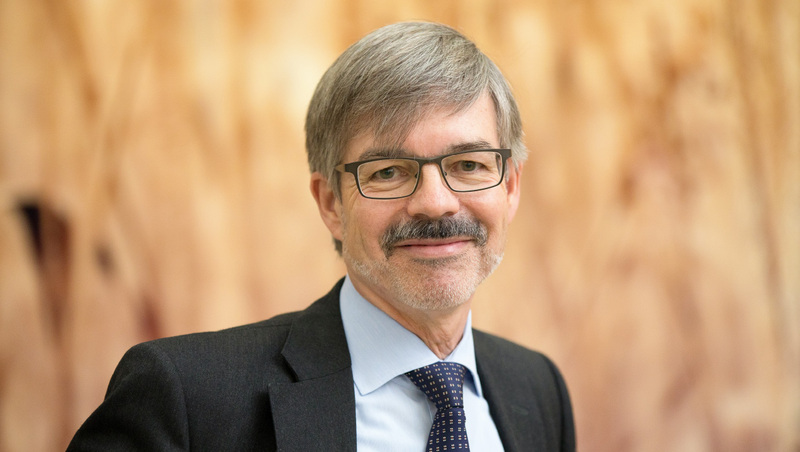 For nearly four years, His Excellency Dr Hans Carl von Werthern has been ambassador of Germany to Japan, working to strengthen political dialogue, economic cooperation and cultural exchange between the two like-minded nations. 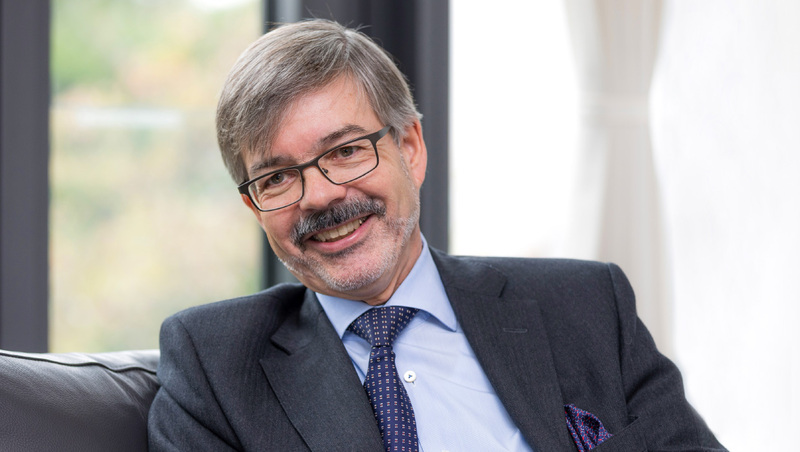 He spoke with Eurobiz Japan about new collaborations in high-tech between Germany and Japan, the importance of marching in this year’s Tokyo Rainbow Pride Parade, and the best response to rising populism. What are some new areas of cooperation between Japan and Germany? One area I would point out is in high technology, such as the Internet of Things and artificial intelligence. Since circumstances in our two countries are so similar, I think Germany and Japan are natural partners in this cooperation. Japan was the official partner country of CeBIT — the world’s biggest Information and Communications Technology exhibition — in Hanover this year, which was opened jointly by Prime Minister Abe and Chancellor Merkel. It was a starting point for quite a lot of cooperation projects. For example, the Hanover Declaration, and a memorandum of cooperation between AIST [National Institute of Advanced Industrial Science and Technology], a Japanese research institution, and the German research institute DFKI [German Research Center for Artificial Intelligence]. This is very promising for a number of reasons, but one reason stands out. Now the standards will be developed for all these areas, and if Germany, Japan and our partners manage to establish the standards, we will benefit immensely. If we don’t — and neither of us can do it alone — we will have to follow standards that others set. There are other projects of cooperation in quite a number of fields, including autonomous driving, fusion technology, marine research and battery research. What has been happening this year on the level of cultural exchange? We had a whole variety of events. Starting with what we would call high culture, the Bavarian State Opera was here. And the Elbphilharmonie Orchestra had concerts here in Suntory Hall and at Tokyo Bunka Kaikan. But it’s not only Beethoven and Bach and the big exhibitions. We also try to further cultural exchange on other levels. It’s important to me that the cultural work of the embassy also is as diverse as Germany itself. One example is DJ Ipek. She’s a German DJ of Turkish background, and she is a very pronounced activist on the LGBT topic. She gave talks all over Japan, and, of course, she went to clubs and DJed. She participated, as I did, in the Tokyo Rainbow Pride Parade. There was a group of European ambassadors that marched this year. Why was it important for you to be a part of the pride parade? I’m deeply convinced that diversity is a defining factor for the strength of a society. At least that’s the experience we have had for centuries in Europe, and especially in Germany. In my opinion, diversity implies that you recognise people who are different from you as equals — and possibly even as superiors because they usually have qualities that I don’t have. I think the recognition of gay, lesbian, transgender and bisexual people is very important, not only from the perspective of human rights, but also for teaching ourselves that our way of life is not the only possible one. And I’m very glad that a number of European ambassadors here think the same way. Germany is a candidate to become a non-permanent member of the United Nations Security Council (UNSC) again in 2019 and 2020. Can you tell me about the reforms to the UNSC that Germany and Japan would like to see? The Security Council is the only international institution for keeping peace and for conflict management. It was set up in 1945, but the world has changed dramatically since 1945 — there are 142 more members of the United Nations today. The Security Council, and the structures of the United Nations in general, do not reflect the composition or the reality of the world as it is. One of the most important goals of the initiatives to reform it is to make the Security Council representative. The five permanent members are the nations who won the Second World War. Asia is only represented by China; and Latin America and Africa are not represented at all. This has to find a new balance. We are working together in the so-called G4 — that’s Japan, Germany, Brazil and India — to convince the institution that it urgently needs reform in order to be able to do what it’s supposed to do. Also, in the charter of the United Nations it’s stipulated that the major contributors to the United Nations’ budget should be represented in the Security Council. Germany is prepared to accept more responsibility in the world. We would like, in the long run, to be permanently represented in the Security Council. After the far-right Alternative for Germany party took 12.6% of the vote in the last German federal election, what do you think about the rise in populism that we are seeing around the world? German voters voted for stability; 87.4% voted for parties which stand for democracy, an open market, tolerance and human rights. I don’t see that in the foreseeable future a right-wing party can have any real influence on policy-making in Germany. A message I give to young people in Japan, when I speak at universities, is that we have to seek dialogue with people with whom we don’t really want to talk. It’s no good calling them deplorables or idiots. They are not. We have to engage with them.